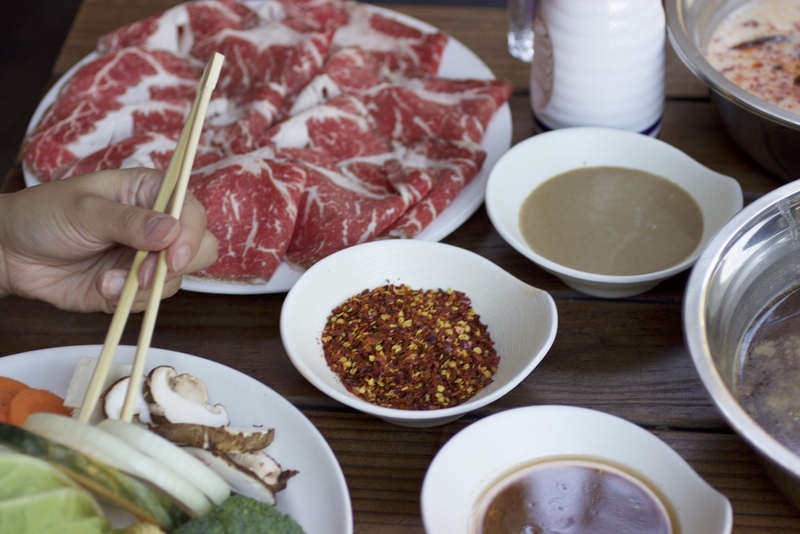 Originating from Mongol horsemen warriors from over 1,000 years ago, hot pot was born. These vagabonds, in an effort to conserve energy, upturned their water filled helmets over an open flame and sliced meats and vegetables so thinly they would cook quickly. After spreading throughout the Far East, the Western World was introduced to this yummy, fun, and healthy cuisine. Taking a twist on a classic, Rolling Boil will be offering up a wide variety of soup broths, from vegetarian to crazy spiced up concoctions, and a multitude of dipping sauces. Like it spicy? Ask for our Ghost Pepper extract drops! Too spicy? Cool yourself down with Asian craft beer and Whiskey. Do you want delicious food that is piping hot with every bite? Do you want to be a chef without any of the hard work? Pick your garden fresh vegetables, sliced to order meat, and start swishing away at Rolling Boil! All photography provided by 100eats.com.